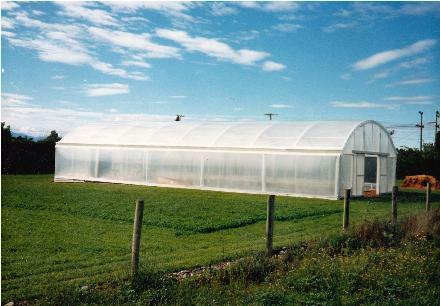 "Low Cost Effective Crop Cover For All Seasons"
A further development of Harford's original tunnel house designed over twenty years ago and proven in the worst of weather conditions. Engineered to accept crop loading as standard up to 15 kilograms per square metre (3 pounds per square foot) the structural design criteria is the same high standard as used on all the Harford models and therefore represents exceptional value for money. Ideal for lower crops such as flowers and vegetables or propagation. Ventilation options include sidewinders with windbreak material as well as open ends or gable vents. This model can also be teamed with the Sawtooth design to offer under gutter ventilation. Wide double sliding door for ease of access. Harford's modular sleeve connected design ensures simple on-site construction. Simple steel hoop design combined with a truss offers strength at an economic price. 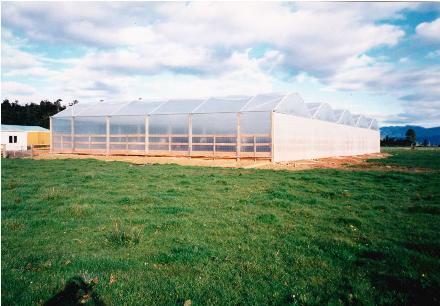 Corrosion resistant fully galvanised steel framework to ensure long life and strength. Modular construction offers simple, cost effective expansion up to three bays wide. 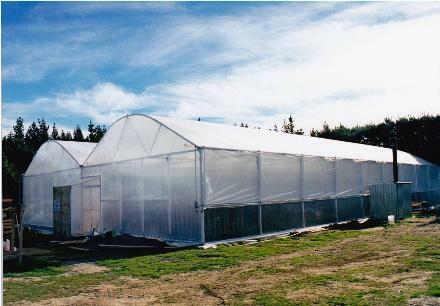 Covered top, sides and ends in top quality high tech plastic film to give excellent growing environment, with twin skin as option. Harford's reusable Cliploc film fastening saves time and money when repairing and recovering. Simple on-site construction, without the need for scaffolding or cranes. Hoop top with straight sides maximises your growing area. 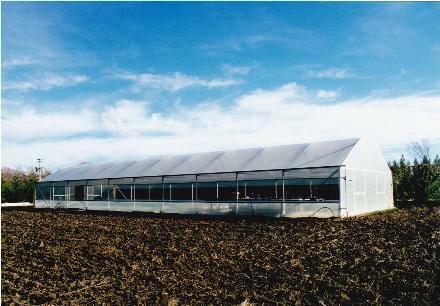 Large galvanised 20-cm (8") walk-in gutters move the heaviest rain away from your crop. Versatile can connect to other Harford designs. An option of white powder coating. Size:Truss span 12.8 meters or 9.6 meters . Single or gutter connected multi-bay. 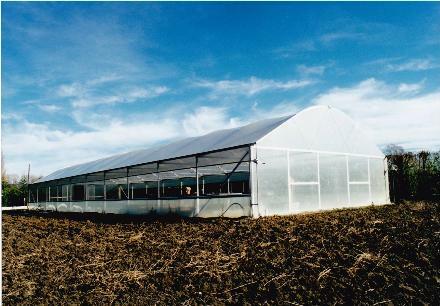 Length modules (section size): 4m. Truss Profile: Galvanised steel A-frame truss, straight sides. Covers: Profiled 0.8 mm polycarbonate. 90%+ light transmission, available with anti-drip coating and light diffusing texture. UV protection to one side. 7 year warranty. Ventilation: Double gull-wing ridge vents. Automation: Single or three phase gearmotors as standard. Temperature, wind and rain control systems available up to fully computerised environmental control system. All built to customers specification. 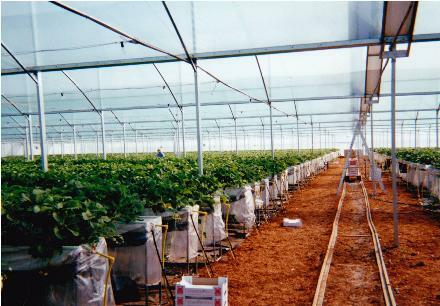 Misting, fogging and energy screen systems can be supplied if required. Doors: One, two or three meters openings. Construction: All steel framing sleeve connected. Supply: Kitsets available ex factory Christchurch.